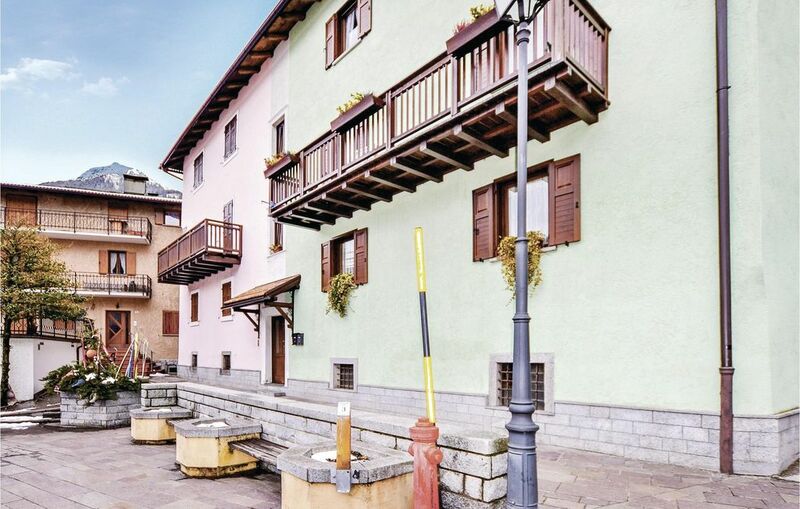 Nice apartment on the 1st floor (no lift) of a small building in the characteristic hamlet of Carisolo, in the Natural Park Adamello Brenta. Only 15 km from Madonna di Campiglio, the pearl of the Dolomites. From the bedrooms great view over the Dolomites. In Carisolo starts a scenic bike trail (about 25 km), ideal for lovers of trekking and cycling. For ski lovers: at 450 m the cross-country skiing trail that connects Carisolo, Pinzolo, Giustino and Caderzone. Other winter sports: sled dog tours, snowshoeing, ice skating. Summer sports: rock climbing, paragliding and hiking. For art lovers: the churches of San Nicola and Santo Stefano on the steep cliff on the river Sarca are worth a visit. 52 km Riva del Garda (windsurf). Attention: under the apartment there is a sandwich bar.